Let me start by saying Viator owns a bit of this one. The description and confirm states hotel pick up. To find out that when we got there that is not the case and a car was over $200 to the airport. Goes down hill from there because the Arizona is still closed a fact not disclosed on the site or on the confirmation call. Next our tour guide called out sick on Oahu and we were merged with a 1/2 day on island giant bus tour with lots of wasted down time. Normally Viator is great but this one is a skip and a big miss. Only redeeming factors are Pearl Harbor was worth it either way and our tour guide Keow wow (spelling?) really worked hard to keep everyone smiling. One thing you should know prior to this trip is that they ask you to meet very early at the airport, but the flight does not leave for an additional 2 hours. This makes for a long morning if you have to travel to get to the airport in the first place. The tour itself is great. You also do not have any stops for food or planned lunch breaks. From arrival at 6:15am, we didn't get to Waikiki where we could eat until 3pm. Good visit to Pearl Harbor and the Missouri. Driver was on time and very knowledgeable. Also enjoyed visit to Waikiki Beach. Flights were scheduled with plenty of time and we were met at airports by agents exactly as described. Would certainly recommend this day trip to Honolulu if visiting Maui. Saw pretty much everything we wanted to see! Tommy was great guide and nice guy. Small group so didn’t have to wait on others! We saw the sites we wanted, had a nice lunch and our guide was informative. Tour guide was exceptional!! We were extremely fortunate to spend the day with Ernie! Our tour guide, Kaleo, was great! Very knowledgeable, friendly, and accommodating. Highly recommend! 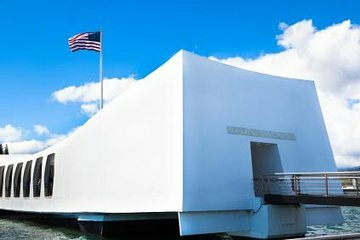 The tour of Pearl Harbor was even more moving than I even imagined. It was absolutely amazing and incredibly moving. Do not miss this tour. We had a great guide.,,, I was just unhappy with the rushed pace... there was no time to eat or get to the gift shops. We saw the Arizona Memorial and the Missouri. Nothing else. I would have loved to get into some of the museums and onto the submarine, the Bowfish. We did a downtown tour, which wasn't necessary. I would have preferred to focus on Pearl Harbor. The day just felt like we were rushing from one thing to another without really getting to see or enjoy anything. Our tour guide, Tommy, was great and full of knowledge. I wasn't disappointed with him, I was disappointed with the tour itself. 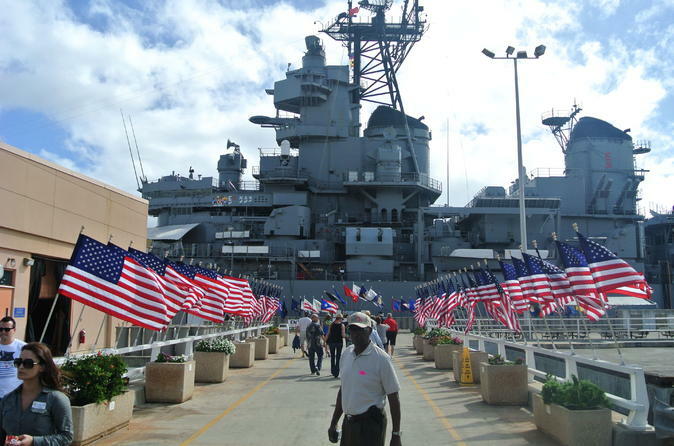 More time is needed in Pearl Harbor to see everything it has to offer. It was too rushed for only having the opportunity to see two memorials. Too much was squeezed into this tour, which made it impossible to enjoy any of the stops. Less would have been best. I would have happily forgone the town trip. Not knowing Pearl Harbor, I trusted that when they said we could do both, there would be plenty of time. There is not time to do both and be able to enjoy everything.